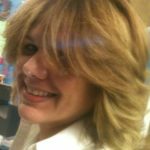 Lourdes Collazo Morales serves as manager of Planet Films. Mrs. Collazo Morales has in-depth experience in the area of entertainment management and accounting. Lourdes also works closely with client personnel, including upper management, to develop effective internal systems. 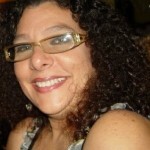 Prior to entering to Planet Films, Mrs. Morales held several positions at RM Entertainment Group (Ricky Martin), and the City of San Juan , Puerto Rico. Roberto R. Mancha J.D., L.L.M. Mr. Mancha serves as “of counsel” to Planet Films. Mr. Mancha has in-depth experience in the area of federal and state tax law. He has assisted clients in tax planning and with defending against IRS and state tax audits, including federal employment audits (independent contractor/employee issues and withholding requirements), at both the examination and IRS Appeals stages. Mr. Mancha also works closely with client personnel, including upper management, to develop effective internal systems and processes to comply with applicable federal and state tax laws. Mr. Mancha has represented both the IRS and private taxpayers in complicated foreign and domestic transactions involving mergers and acquisitions and transfer pricing. He also assists clients with addressing employee plan issues. Prior to entering private practice, Mr. Mancha held several positions at the IRS, worked in industry for a Fortune 500 company and worked for a “Big Four” CPA firm. Roberto R. Mancha, J.D., L.L.M.